As competition in the U.S. 4G LTE market seems ready to really bust out this year, current leader Verizon is expanding its presence out west to California and Nevada. In the former, the expanded markets getting LTE service are Stockton, Fresno, Monterey, and the San Francisco Bay. The lone non-California market is Reno, Nevada. With AT&T slowly but surely growing its LTE coverage and Sprint expected to flip the switch on its new service in June, Verizon needs to keep expanding its LTE pipeline so that it can keep its commanding lead over the other carriers. According to Droid-Life, some Verizon customers in Kokomo, IN have noticed 4G coverage in an area that used to be just 3G. 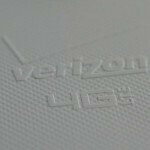 Additionally, Droid-Life recently went though Verizon's press releases and found 44 markets where the carrier will add new LTE service, expand or enhance current LTE service. You can check out the list at the sourcelink. Currently Verizon's LTE service is available to over 200 million people in more than 200 markets and supports 20 4G LTE devices. LTE phone shipments are expected to hit a level ten times last year's number with 67 million units estimated to be shipped globally in 2012, according to the latest report by Strategy Analytics. 6.8 million LTE handsets were shipped last year with most of them ending up headed to Verizon. They need to hurry up and turn on LTE in Ventura County! its just one county above Los Angeles, CA that way I can have LTE from SD to LA to VC !! Verizon has seriously lacking in enhancing Cali, you see main East coast, south and midwest. Thats no fun for Cali ppl. Oh my gosh, I seriously was just about to comment on the same thing. I'm so tired of Ventura County not having LTE it's incredible... Santa Barbara has it. LA has it. Just bridge the gap! Im in Santa Barbara County / San Luis Obispo. Im surprised Ventura County doesnt have lte since its so massive. This area is kinda rural mostly. Must be because of the Rich people. LoL seriously Santa Barbara has it, VZW is working its way to central Cali, Well Ventura County is huge and its unfair that I get abysmal 3G speeds on my 4G Galaxy Nexus, and its just slow, but once I get around Westlake Village area driving back to SD for college 4G turns on. No fair at all! What gives! Just missing an LTE Windows Phone. Nothing like competition to spur innovation.